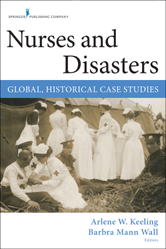 This timely volume describes and analyzes the nursing response to a variety of historic and recent global disasters that occurred between 1885 and 2012, including Hurricane Sandy. The book is unique in its discussion of cooperation and conflict in the disaster responses regarding the mobilization of individuals across national borders and continents. It examines how partnerships developed, their implications for policy, and how we can use lessons learned to improve care in the future.